Melissa Etheridge's "Fearless Love" album is "about being fearless. It's about choosing love over fear. It's a way, a philosophy of living life that suits me well." And it suited her fans well too - the album debuted at #7 on the Billboard charts. 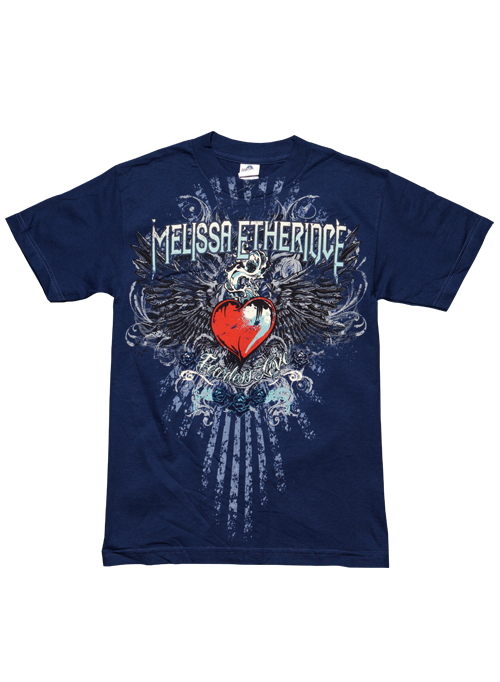 This Harbor Blue unisex tee commemorates her 2011 tour supporting "Fearless Love." It features winged art on the front and the tour itinerary on the back.